I have been traveling to some of the least exciting places in the free world. Which means I get time between towns to sing ridiculously with the radio. It also means I get to whip my car around without the fear of smashing other cars in effort to take pictures of places and signs are are kinda funny. Maybe they are funny. You judge. I don’t know why this McD’s had a retro sign, but it did. I only wish I was there at night time to see the thing lit up with all that fabulous neon. 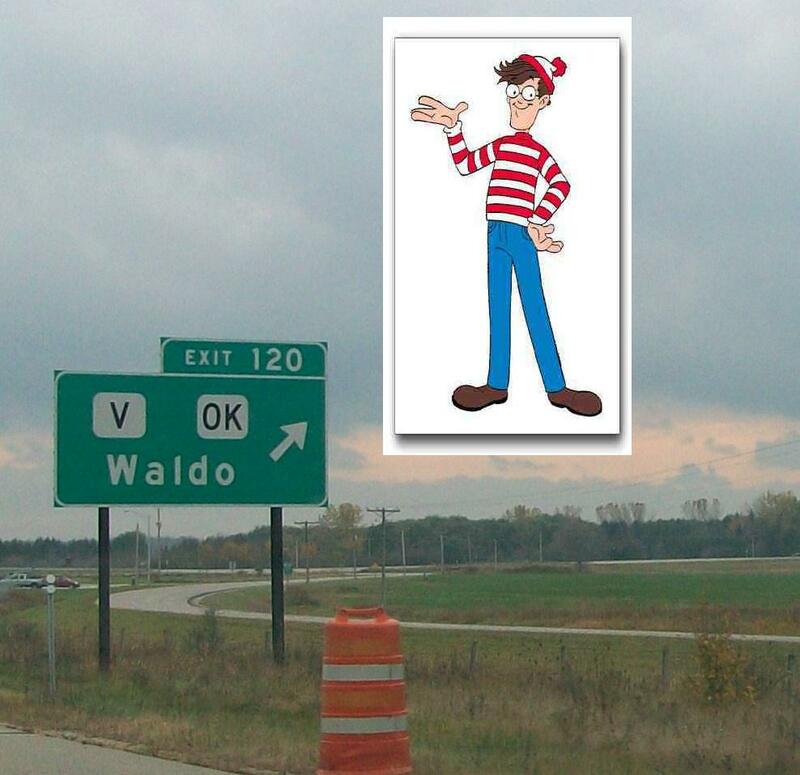 The first thing I thought of when I saw the sign for the town called Waldo was…uh…Waldo. He was not there, so I placed him in the pic. 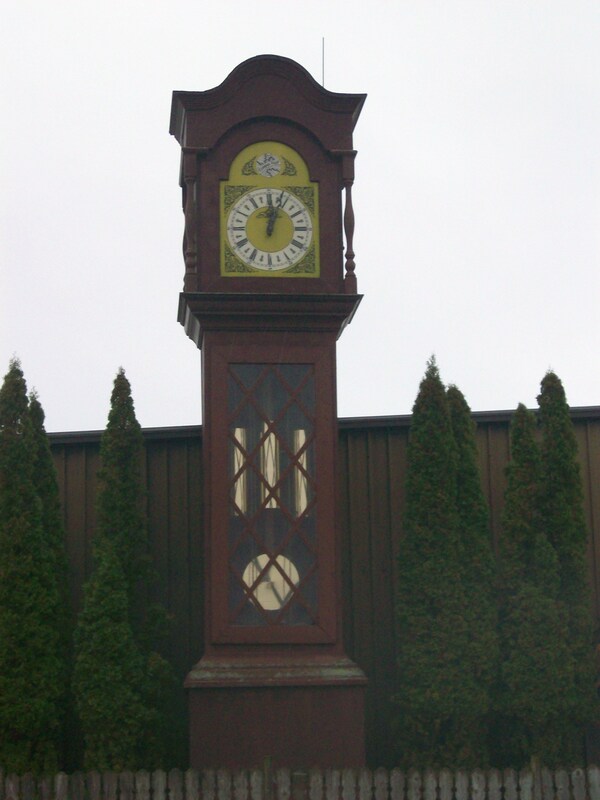 This is the world’s largest grandfather clock. I forgot to check if it was the right time. 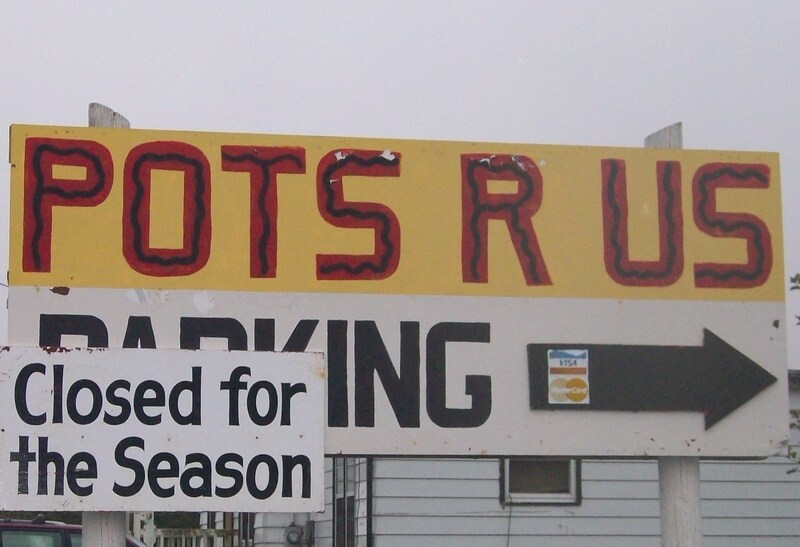 Pots are no longer in season. This entry was posted in Blogroll, entertainment, family, Fine Dining, food, home, how to, Life, travel, weather and tagged clocks, mc donalds, signs, soup, Waldo. Bookmark the permalink. Retro is something created to look like an earlier time, despite being new. 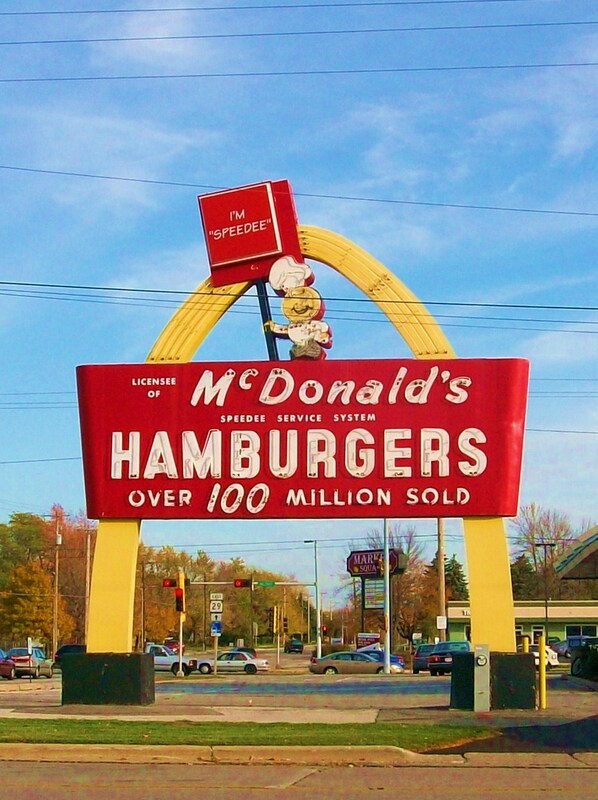 That McDs sign, however, is not retro, but actually an Old-Timey sign that was never changed! Where did you find it? Did the McD itself look like it had an arch on each side? I love when you take road trips. You always have such interesting photos to show. Ho-made soups . . . 4 Ho-made soups? 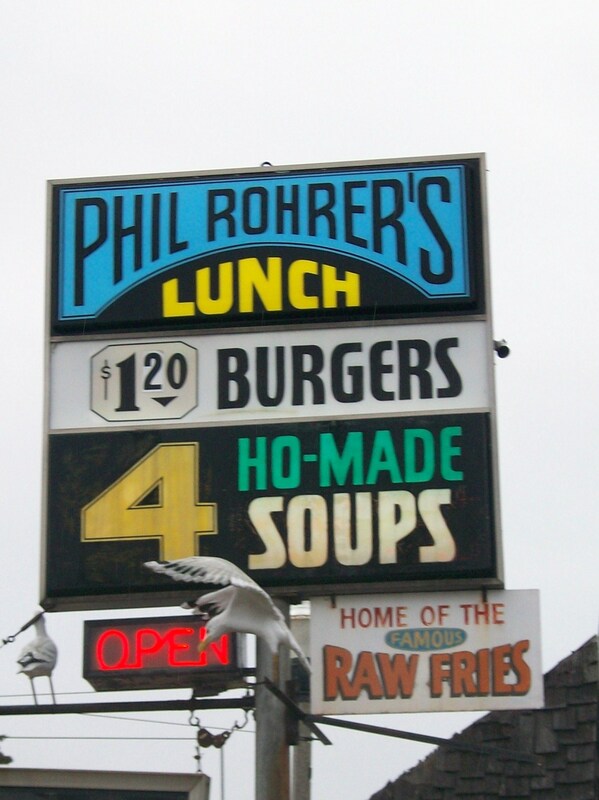 Home of the “famous” raw fries? Are those real seagulls or are they part of the sign as well? If they are part of the sign that’s a pretty random addition. that is an original mcdonalds sign, i’m pretty sure. i think there are only a couple left. that one’s in green bay or somewhere nearby. dan, that is too funny. i didnt even notice the seagulls, but they do look pretty fake. Dan- fake seagulls. I have no idea if there are REAL ones roaming around wisconsin. Daily- Thanks to you too! okay, i will just come back to say that YES there are a crapload of seagulls in wisconsin. sadly they’ve lost their way to the sea, and now live in walmart parking lots and perched upon the roofs of strip malls. seriously, they are everywhere.